Accurate exterior detailing adds a touch of realism to this pre-built model. Comes with an elegant wood base and nameplate for proudly displaying on your desk or mantle. using nothing else but the highest quality wood and highly skilled workers who have been making excellent wood models for International clients for more than 30 years! Additionally, we cater to enthusiastic individuals who carry a passion for scale models and want to possess the exact replica of the aircraft & ship of their dreams. 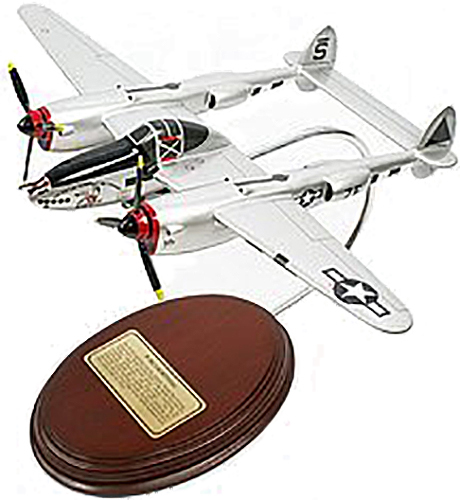 This handcrafted model is makes a great gift for any veteran, aviation enthusiast or history buff.